I am a licensed clinical social worker with over twenty years of experience. I have worked extensively with military service members and their families over the last 18 years. My experience includes work with worked couples, families, children, teens and adults. The majority of my work has been in the areas of relationships, trauma, childhood abuse, adult physical abuse, PTSD, depression, and anxiety. I have also done coaching in the following areas: stress management, weight management, self-esteem, sleep, smoking cessation, diabetes, chronic pain, parenting, and other acute health issues. I work primarily as a Cognitive Behavioral Therapist, but use other treatment modalities as the need arises. My therapy approach is warm and supportive, and at all times you will know that I am here as a means of support to assist you in your area and time of need. My personal philosophy mirrors a quote from Albert Einstein. Einstein said that Insanity is doing the same thing over and over again and expecting different results. If you are ready to try something different, to take that leap of faith, to be open minded to learning new ways to cope and effectively handle what life throws in your path, I will be right there with you. We will take that first step together as I empower you along the way. I can’t wait to hear from you. Talk to you soon. LaSundra spoke into my life at a time when I sorely needed the encouragement, and through sharing her own personal stories and summarizing the novels I wrote to her in ways that made sense, she gave me courage and hope to face the scary challenges facing me! I'm so thankful for the time and care she put into the words she shared. Phenomenal insight! LaSundra really knows what to ask that will really get me to think about why I make the choices I've made in my life. She's patient, and is helping me to develop better self-esteem, and the ability to connect my feelings to my actions. LaSundra has been extremely attentive.. very informative... extremely straight forward... she has invested a lot into me.. I am very grateful for her help. LaSundra was a great help to me during a difficult time in my marriage. She helped me sort out many issues and helped me learn how to seek answers from my wife. While I would have liked a better outcome with my wife, I am grateful LaSundra gave me the support and courage to face the fact that my marriage had been over for a long time. LaSundra always answered promptly and was a valuable resource to have in a time when I didn't really have anyone. I feel LaSundra has been helpful in helping organize my thoughts, and has helped me realize that in order to take care of myself, that I need to clear my life of derailing distractions. I had never been to a counselor before I tried BetterHelp. LaSundra made it very easy to get comfortable quickly. She is very patient, and helpful. In a very short time, she has already helped me with some of the concerns that I was having. I am very happy that I saw an ad for BetterHelp on Facebook, and decided to give it a try. I would highly recommend it to anyone that is feeling lost, needs someone to talk to, needs answers, and/or just needs to get things off of their chest. Not all counselors are going to suit you. They have personalities like you do. Well, LaSundra and I matched very well. She calls it like it is and I need that. Honesty with heart. With expert skills to help heal and teach me what I need to to make my life better and healthy. I am so happy I found LaSundra! She is so patient and amazing. She is empowering and an amazing listener. I haven't been working with LaSundra for very long yet, but I love her attentiveness, her friendliness, her attention to details...she has a lot of awesome experience, and I know I'm in great hands here! I'm really looking forward to how I can change and grow under her care! LaSundra has done a great job so far in guiding me to challenge myself in how I approach my feelings and thoughts. I have so many issues with being guarded but she has directed me through completing helpful exercises that make sharing my thoughts a lot easier. Its also helping me learn a lot more about myself. I feel that I have a long way to go, but she is definitely helping in that process. 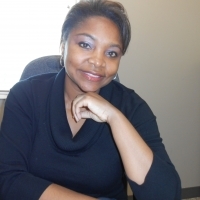 Would you like to write a review for LaSundra Hursey? We'd appreciate if you can spend a couple of minutes to write a short review for LaSundra Hursey (LMSW, LCSW, CA). This review would be shared with LaSundra Hursey. It may also be posted in our website or in LaSundra Hursey's profile but it would be anonymous and your identity would be kept completely confidential.